Winter squash are perfect right now. Reposting this fab recipe. Enjoy! 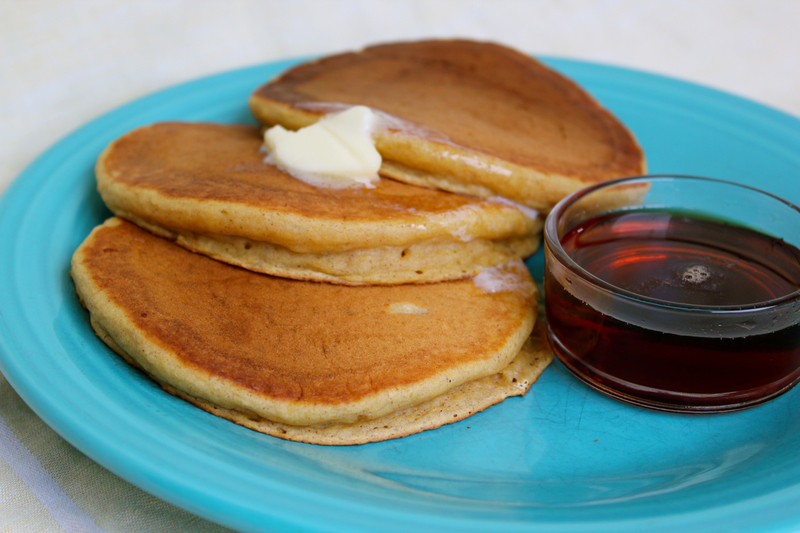 Warm, fluffy, moist, lightly spiced, pumpkin pancakes. They’re just right to get you started on a Fall morning. Or, for a fun twist, try them for dinner one night. Mix all ingredients until just blended, adding extra buttermilk if needed to get a nice, thick consistency. This batter should be a little thicker than regular pancake batter. Fry on a hot griddle and enjoy with butter and pure maple syrup. Whipped Cream and Spiced Powdered Sugar version. For an extra special treat, try this decadent option instead of butter and syrup. Mix together 1 cup powdered sugar 1/2 tsp. ground cinnamon, 1/4 tsp. ground nutmeg and 1/4 tsp. ground ginger. Top hot pumpkin pancakes with freshly whipped heavy cream, then sprinkle with the spiced powdered sugar. Thanks! I hope you will enjoy them.